Shin’m 2.0 is the second version of Shin’m project that was created in 2009. 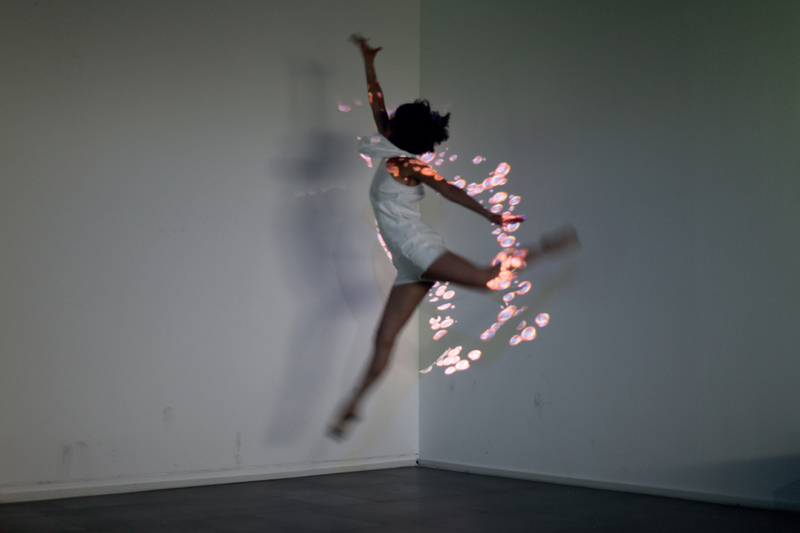 Using the Kinect sensor, spatialized sound and two video projections aligned together, it creates an interactive space of nebula bubbles in one corner of the exhibition space. This fluid space is filled with nebula bubbles constantly circulating through a “black hole” in the center. As the participant moves in deeper, first the bubbles’ gravity center moves to the participant, and forms the shape of the participant’s body. If the participant jumps or raises his or her hand up high, bubbles explode as their bubble-filled-body dissipates. Sound texture is designed to enhance the illusion of attachment and dissipation through this experience.